The Notification feature on your android phone is aimed to keep you updated on your device’s current status and many other important notifications. All these notifications can be easily accessed just from your phone’s home screen. Apart from the preoccupied notifications for your android device’s current status, the notification drawer on your android phone provides you with quick updated on other important things such as Notifications for Missed calls, messages, battery status and similar notifications from other apps installed on your Android phone. Among all the apps installed on your phone, social networking apps make efficient use of the notification drawer to update you on the latest happening within your social network. Primarily the notification bar is meant to update you with important notifications such as notifications for missed calls, messages, emails and similar things. But the problem is, most apps installed on your phone have access to your phone’s notification drawer or either hijack it, which means instead of getting important notifications, your phone’s notification bar can be occupied by useless notification from less important apps. Missed call notifications from your family are more important that notifications about advertisements. Which is why it becomes important for you to disable the notification feature on unnecessary apps and let it be enabled for the important ones. Fortunately with the jelly bean update, the android OS now allows users to disable the notification feature on any individual app. If you think notifications from any android app are unnecessarily occupying your phone’s notification bar or even irritating you, these instructions below will show you how you can disable notifications for any android app. 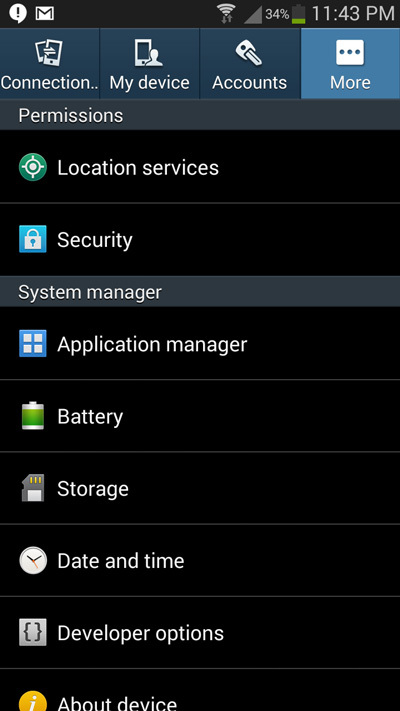 Step 2: Inside the Application manager menu, Swipe from the right to the left and navigate to the ALL tab. 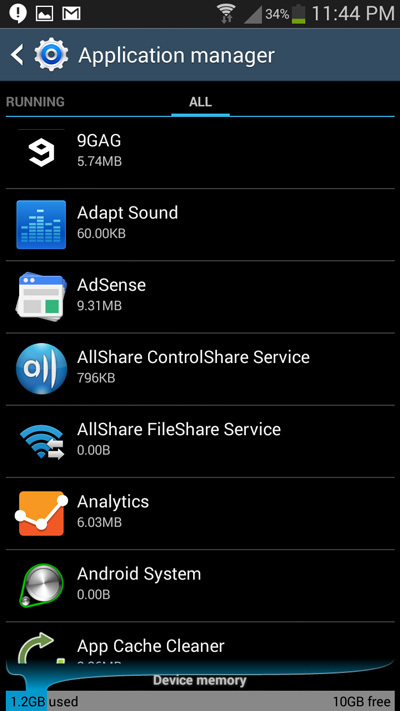 Now you will be able to see a list of apps that are currently installed on your Android phone. 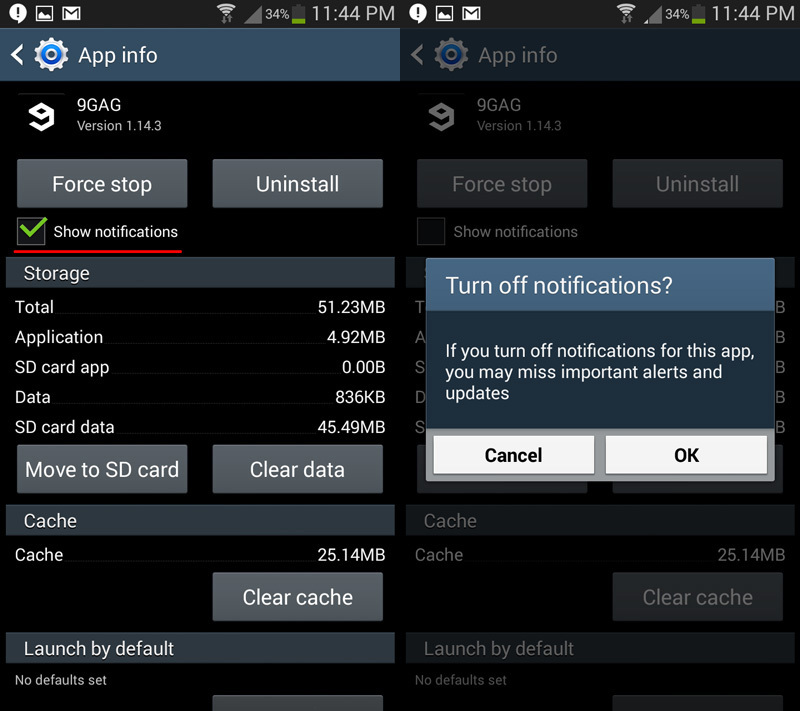 Step 3: Tap on any of the apps for which you want to disable the notifications. In the app info menu that opens up, tap on Show notifications to uncheck the option and tap on OK to confirm disabling notifications for that app. Now the notifications will be disabled for the specific app. You can follow the same instructions to disable the notification for any other android app or game that is installed on your phone.